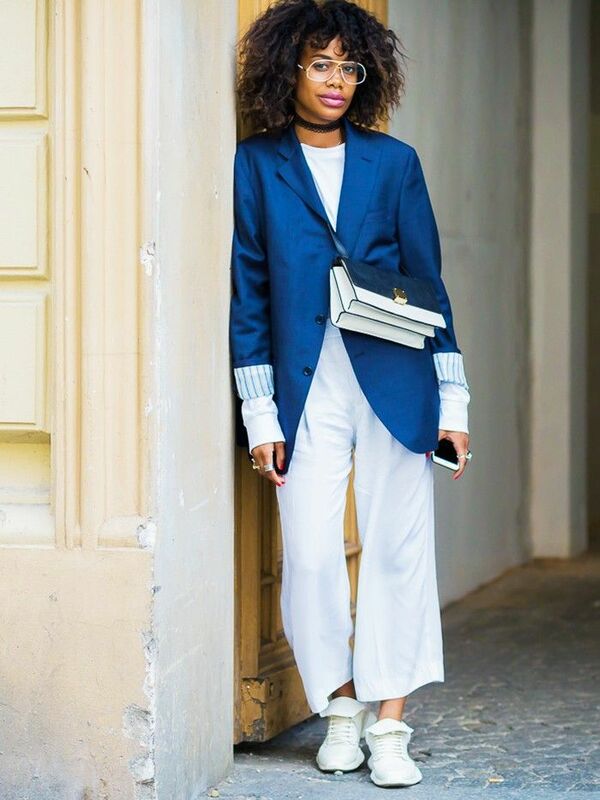 Any day can call for a style switch-up, and there's no greater fashion cue to take than street style outfit tips from these bloggers who have mastered “chill” sartorial elegance in unexpected ways. From sheer knitwear deftly worn with frayed jeans to so-perfect dresses effortlessly teamed with the new-season It boots, this is your guide to nailing off-duty dressing now. Scroll through to unlock your new fashion direction and shop key pieces from each look! Wear the strap short to get the look. For girls who don't "do" hotpants. It's good to have aspirations in life. The kind of carry-all that still looks elegant. The '90s square-toe is back. Autumn comes early to your wardrobe with this chichi number. What Pandora says, goes. Kapow! Chill down high-octane pieces with this sports-luxe cover-up. For work AND play, these heels are so hot right now. Versatile and oh-so summery. You need this for sunny days. Fact. Play peek-a-boo the chic girl way. Make every day feel like a duvet day in these silk trousers. Practical? Check. Gucci? Gotcha. Perfect for every cold day? Yup. Sold! The next-level jeans that will take your style to fashion pro level. Playful but cool, this skirt can be worn with sneakers or stilettos. Your holiday wardrobe needs a '70s inspired maxi. Go figure. Mannish tailoring will add edge to pretty dresses, so get contrasting. A key piece for this season and the next buy from our favourite go-to brand. What every bohemian needs now. She who dares, looks awesome. Buy this fashion fairy-tale bag and live happily ever after. The new season is about more-is-more accessorising. Stockpile huge earrings now. So easy to wear and ideal for super-hot holidays. Autumn is coming! Do you have your cosy cover-up? The leather skirt to beat all leather skirts has landed. This purchase does not require an explanation. Buy in bulk now. The hot girl way to strut around? In '90s reflective sunnies, of course. Which outfit idea do you feel most compelled to copy/paste into your wardrobe now?